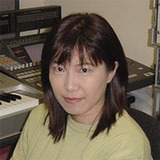 Yoko Shimomura has really crafted a lovely franchise of music with Kingdom Hearts and after its successful first piano collections, its now returned with “Field and Battle”, a new collection of nine tracks. “Scherzo Caprice on a Theme of Never Land” opens the album with a stirring arrangement that is full of flourishes and really complex playing. The song just never sits still, like a classical recital, it’s just brimming with character and panache. “Sinister Sundown” follows on with full on piano at the ready again. The fact that the opening two tracks are battle tracks really sets the tone as one that is absolutely mind blowing. The sheer speed of this track and pianist Hiroyuki Nakayama has to be heard to be believed and I’m sure its some of the hardest playing I’ve heard since someone blitzed “The Castle” from FFVIII’s Piano Collections. These opening two tracks are reason enough to buy the album. Go…Now! Ok, now you’ve ordered it we have “Wonderland’s Surprises” which has a duality about it. There’s some beautifully intricate higher register pieces with quick freakout bass sections thrown in for good measure at regular intervals. It gives the track its own character. The track reminds me of a buckarooing horse. Great stuff. “Lazy Afternoons” is the first relaxed track on the album and brings your pulse rates down with an endearing warm rendition of the original. “Night of Fate” returns the knightmare battle tracks with this stunning arrangement. It has a real tense atmosphere as Masanobu Shinoda at first gently taps out the tune very quickly and it grows until the piano is being practically battered to bits! Nail bitingly tense. “A Very Small Wish ~ Monstrous Monstro” follows with a waltzing dance that is both intricate, slightly clumsy but also quite powerful, especially when it hits the half way mark and really stretches its legs in a desperate militant waltz fashion. “Hollow Bastion” is quite a dark and damp track. It’s constantly in a cycle of mysterious chord patterns and everything swirls around. It sits perfectly between distressed and withdrawn and is the real enigma of the album and possibly my favourite track just because it has a completely different personality to the rest on the album. “Medley of Conflict” is a hugely clever medley of several battle tracks all moudled effortlessly into one seemless track. This is how a medley should be done and Miwa Sato really chops great piano chops by changes in pace, empathy and raw guts by keeping everything flowing and cohesive. Another standout. The closer is “Musique Pour La Tristesse de Xion” which has a real regal pacing and structure to it. Although its based on the track Xion, I hear bits of Dearly Beloved running through it and so it really feels quite final and very emotive. Put simply “Kingdom Hearts Piano Collections ~ Field and Battle” is one of the best piano collectinos I’ve had the pleasure to listen to. Each track is beautifully arranged and performed with power and emotion. The standard is so high on every single track. This CD is absolutely spellbounding and I hope it captivates you as much as it has me.